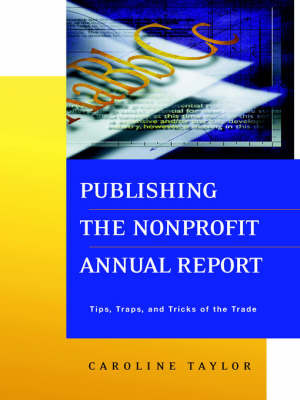 Publishing the Nonprofit Annual Report offers your nonprofit organization hands-on guidance to help you create an annual report that goes beyond fulfilling your financial reporting responsibilities and instead becomes a valuable communications, marketing, and image-building tool. Written by Caroline Taylor--a consultant who has more than twenty years of experience producing award-winning annual reports--this essential guide takes you through the report-writing cycle from start to finish. Step by step, she shows you how to create a plan, fit the report process into the overall schedule, assign tasks, develop the executive message, work with designers to integrate visual elements, and get the report printed on time and within budget. 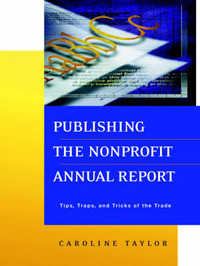 Caroline Taylor has more than twenty years of professional experience producing annual reports for nonprofit associations and government agencies.